Award-winning media personality Ruvheneko Parirenyatwa has resurfaced in broadcast, this time as a panellist for BBC’s The She Word, which she says is a shot at going global after a wearisome stint on the local terrain. 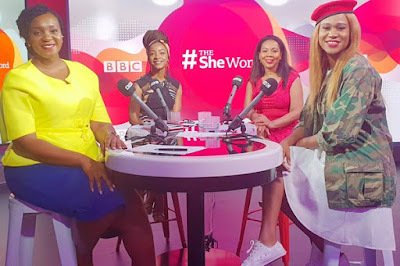 The weekly television programme is centred on a debate between an ever-changing panel of four women, including Rebecca Enonchong (Cameroon), Doreen Noni (Tanzania) and Natasha Moret-Qubu (South Africa) who discuss hot topics from across the world. In a recent interview, Parirenyatwa, the first Zimbabwean to participate on the platform, told The Standard Style that being part of that panel had familiarised her to a global audience as well as “opened me up to a wider network of African women”. “This is something I don’t take for granted at all, I can only hope and pray that I represent Zimbabwe well and that anything I do out there raises our flag high,” she said. Known for her hard-line stance during one-on-one radio and TV interviews, especially with politicians, Parirenyatwa has found it hard to survive the polarised media space at home. Describing indigenous broadcasting as “frustrating” and “local in content and execution”, the bubbly TV presenter said state of affairs in Zimbabwe inhibited growth. “We are not creating enough content that appeals to a global audience. Appealing to Zimbabweans in the Diaspora is not necessarily appealing to the international world because those Zimbabweans are part of us, so it’s an easier sell,” she said. Young women in Zimbabwe have found it hard to scale through the ranks in local media owing to numerous problems among them chauvinism and other abuse. “I remember being told I was too young at some stage to interview senior government officials and being ridiculed by the same men because I was a girl,” she explained.